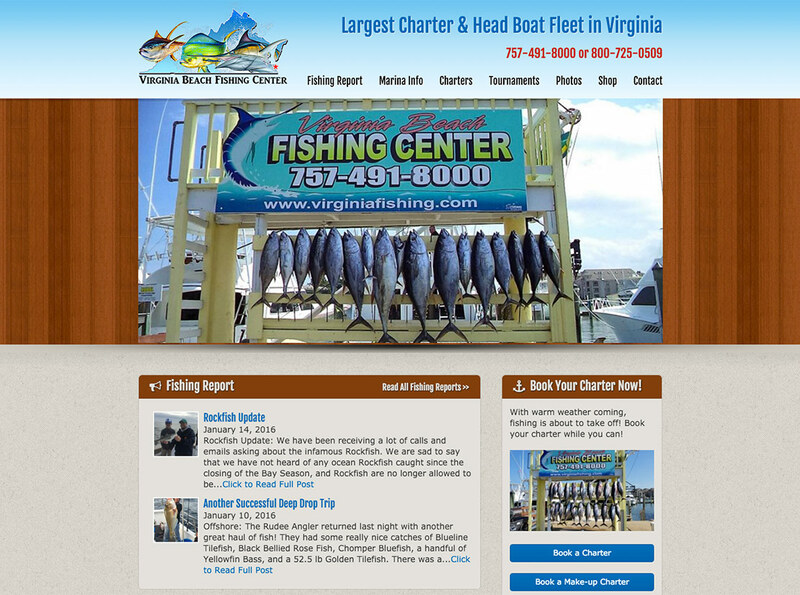 The Virginia Beach Fishing Center is the premier spot for charters and all things “fishing” in Virginia Beach. We were glad to work with them to develop a fun, approachable website that would be easily navigable and updatable by visitors and staff. The fishing reports gives them a platform to keep their patrons in the loop about what’s biting, while their “Book a Charter” section makes it easy for folks to learn about and choose their captain and book a date from the comfort of their home!